Digital Audience Builder enables B2B marketers, agencies, and partners to create custom audience segments using Bombora's database of B2B demographic, firmographic, and Intent data segments, or by using their pre-existing account list to reach target audiences across their marketing activation channels. Download the one pager. What is Digital Audience Builder (DAB)? What are the use cases for Digital Audience Builder? What is an external key? What is the first-party on and off toggle? What is the maximum number of domains I can upload? How long does it take to see the segment in my DMP, DSP, or data exchange? How long does it take to get a match of the domains on my ABM list with Bombora's database? What is Bombora's typical cookie match rate with DMPs, DSPs, or data exchanges? Can I get an estimated audience count? How about estimated impressions? Which DSPs or data exchanges can you syndicate my segment to? Why is my segment volume so low? How often is my segment refreshed? What is an 'Always-On' Surge segment? How do I create an Always-On surge segment? How often are Always-On surge segments refreshed? What are the best practices for creating custom segments? What is bidstream data and how is it different from the Intent data that Bombora captures? 1. What is Digital Audience Builder (DAB)? 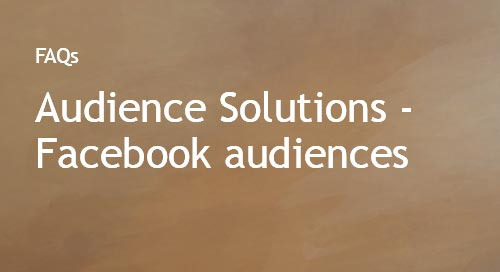 Digital Audience Builder enables you to build custom B2B audiences and activate them across your digital marketing channels to achieve a greater reach of your target audience. Bombora has built-in integrations with the leading data exchanges, data management platforms (DMP), and programmatic platforms for easy syndication of your custom audience. 2. What are the use cases for Digital Audience Builder? There are many ways to use Digital Audience Builder across your digital marketing initiatives. Account-Based Marketing (ABM) - If you have a target account list from your ABM initiatives, Digital Audience Builder makes it easy to transform that list into digital audiences. Simply upload your domains, Bombora will match those domains to digital cookies, and syndicate it directly to your programmatic partner for targeting. 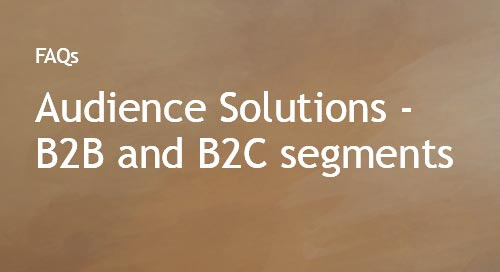 Build Custom B2B segments - If you're trying to reach a targeted audience online of SMB professionals or B2B professionals exhibiting a spike in intent for products or services relevant to you, you can easily combine segments in the interface and syndicate it directly to your programmatic partner. 3. What is an external key? An external key is a unique alphanumeric identifier for your segment. We recommend creating an external key that is Customer Name and Date (i.e. bombora20190101) to avoid duplication of external keys. Please note that if you're syndicating your custom audience to MediaMath, you will need to match the external key with your MediaMath pixel ID. Please check with your MediaMath contact for more information. 4. What is the first-party on and off toggle? This feature is for Data Co-op members only. Using this feature, Data Co-op members can get an estimate of the audience overlap between their audience and Bombora's, as well as target their first-party audience exclusively. 5. What is the maximum number of domains I can upload? The maximum number of domains is 100,000. 6. How long does it take to see the segment in my DMP, DSP, or data exchange? It typically takes 4-7 days before the segment appears in your DMP, DSP, or data exchange and has generated enough volume to be used for targeting. There are certain partners that can take up to several weeks due to internal processes for receiving external segments. 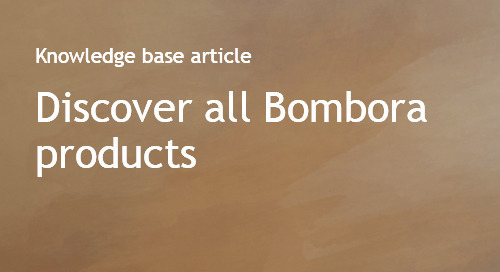 Please check with your Bombora contact for more information. 7. How long does it take to get a match of the domains on my ABM list with Bombora's database? After you upload your ABM list, please ensure that the Run Domain Match Report box is checked. Within one day, you'll be able to download a report that outlines the specific domains that were matched and those that were not matched. 8. What is Bombora's typical cookie match rate with DMPs, DSPs, or data exchanges? Cookie match rates can vary greatly depending on the DMP, DSP, or data exchange to which you are syndicating the segment. Typically our match rates range from 40-60%. 9. Can I get an estimated audience count? How about estimated impressions? To get an estimated count of the audience size as you're creating it in Digital Audience Builder, click on the Estimate Audience Count button on the left side of the interface. 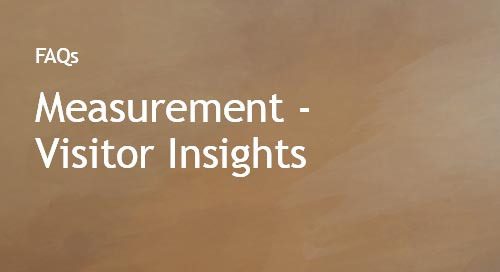 Estimated impression counts are not available because there are many factors that impact this including our match rate with the DSP or data exchange, and the ability of your programmatic partner to deliver impressions. 10. Which DSPs or data exchanges can you syndicate my segment to? We have built-in integrations with LiveRamp, MediaMath, Adobe, Oracle Bluekai, Eyeota, Acuity Ads, AppNexus, and Lotame. If your desired programmatic vendor is not included on this list, please reach out to your Bombora account contact for more information. 11. Why is my segment volume so low? The custom segment is too narrow. You should consider removing a few of the AND filters to expand your criteria. 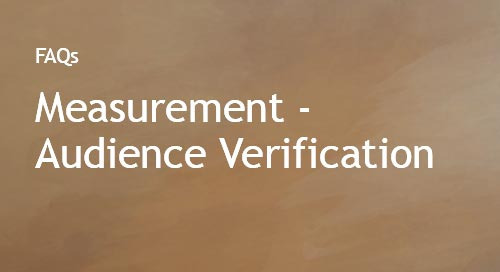 You have additional restrictions on your media activation partner that limit impression volume such as viewability, frequency caps, brand safety, etc. You are running exclusively on channels with limited inventory, i.e. video and your media activation partner can't get high volume. 12. How often is my segment refreshed? 13. 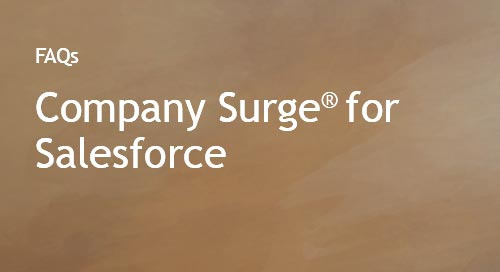 What is an 'Always-On' Company Surge® segment? 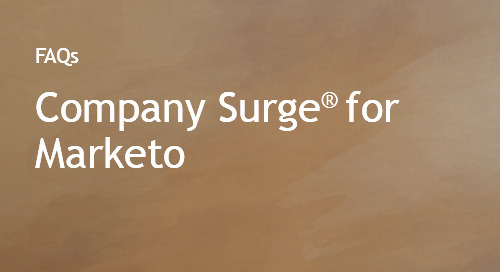 An 'Always-On Surge' segment is one which automatically updates a segment with surging companies for specific topics and removes companies that are no longer surging on an ongoing basis. Currently, we offer always-on segments exclusively through MediaMath, Eyeota, Adobe, and Lotame. If you do not utilize one of these providers, contact your Bombora Account Manager to activate an 'Always-On' segment in your data platform. 14. How do I create one? For more information on how to activate an 'Always-On' segment, refer to the Digital Audience Builder User Guide. 15. 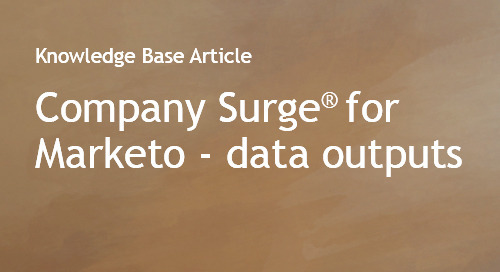 How often are Always-On Company Surge® segments refreshed? 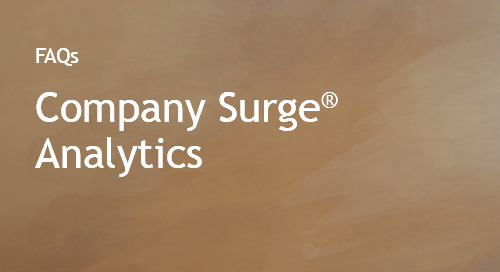 Always-On Company Surge® segments are refreshed weekly to match the frequency of our Company Surge® reports. 16. 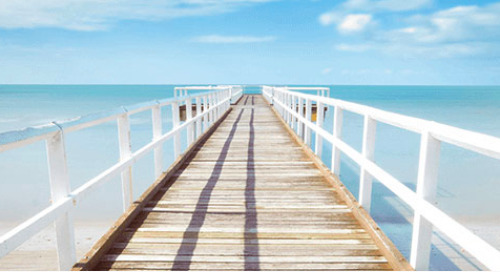 What are the best practices for creating custom segments? There are a few best practices that you can use to get the best results from Digital Audience Builder. 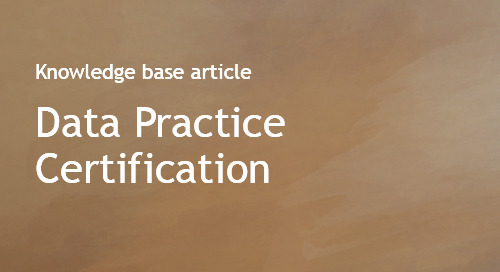 Please download our best practices one pager. 17. 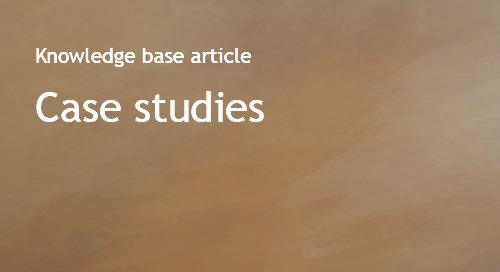 What is Bidstream data and how is it different from the Intent data that Bombora captures? In the world of programmatic advertising, bidstream data is typically passed between ad exchanges to the DSPs that are considering bidding on a particular ad opportunity. This data can include information such as the page URL, location, and cookie/user ID of the individual. Bidstream data is intended to help programmatic buyers determine if a particular ad opportunity is one that fits their client's goals and measure if an ad may have resulted in an advertising outcome. There are many companies that are using this type of data to determine a person or company's interest in particular topics and products. However, there are many shortcomings to bidstream data. While there may be billions of bid requests daily to consider, only a fraction contain information such as location, and an even smaller fraction will have accurate location data. Additionally, bidstream data categorizes a page topic solely on the URL of the page, and does not consider the relevance or context of the content being consumed. 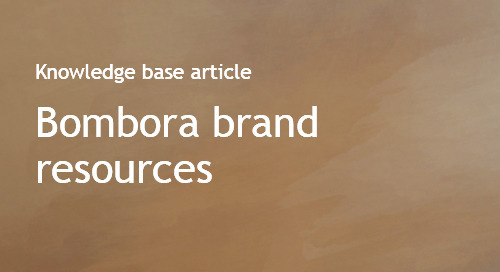 Bombora aggregates Intent data by partnering with a trusted B2B network of 3,800 websites and uses advanced machine learning to measure the context, relevance, and density (i.e. is the topic the focus of the content piece or mentioned briefly) of the content to the topics in our taxonomy. The relevance of each content page to topics in the taxonomy is considered in the overall topic interest score for a particular company.